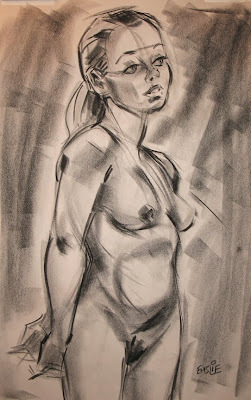 This is Heather, one of the life models we've drawn from often over the last few years at Visual Arts Brampton. I've posted a number of my sketches of her previously on this blog. Heather is a trained dancer who brings a lot of that dancing sensibility to her poses, particularly in the quick gestures. 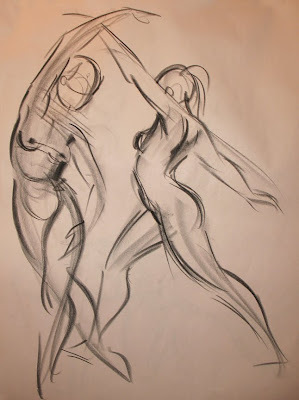 Her body type is soft and curvy, lending a rhythmic flow to her gestures, and always with a strong line of action. 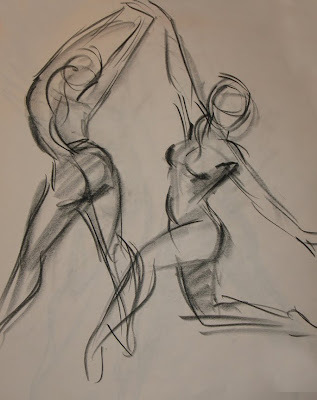 Just a reminder to all of my readers who live in the vicinity of Brampton, Ontario, that the open life drawing sessions at Visual Arts Brampton are held every Tuesday evening from 7pm to 9:30pm. Please click on the link listed in the sidebar for more information. great drawings! Really like the first 3 roughs - have a lot of life and movement in them. These are all great. I don't get it- are the conte ones considered more "legit" than the others? As near as I can tell, the main difference with the more caricatured ones is just the face. They're just as solid and beautiful (moreso perhaps). 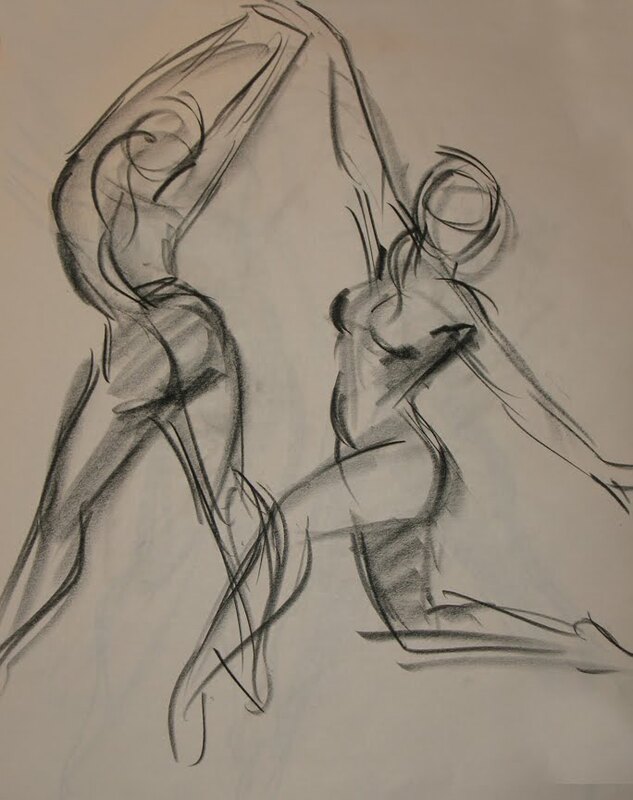 I struggled through just about every lifedrawing session I ever took trying to be so literal in my interpretation. I know it's important to be able to capture what's in front of you. It's only recently that I am discovering other people's life drawings that are just a tad on the caricature side of the line, and in my opinion much stronger for it. Pete, these are looking great. Especially the first one. Would love check out the Brampton sessions and learn from your sketches. Until then, hope you're having a great summer! 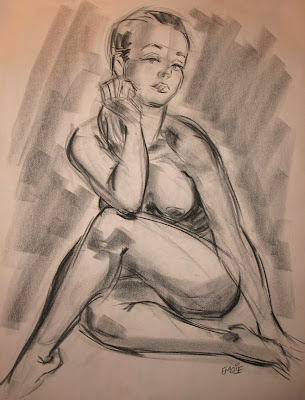 I love your cartoony life drawings. These are beautiful!